Our cardboard boxes and cartons provide excellent protection for a variety of items while in transit or storage. Constructed from durable and sturdy materials, our product range is the answer to all your packing needs – from archive boxes to moving boxes, wardrobe boxes, and even bottle boxes. From large boxes to small ones there’s something for every product and purpose. So whether you’re looking for single, double or triple wall boxes, you’ve come to the right place. 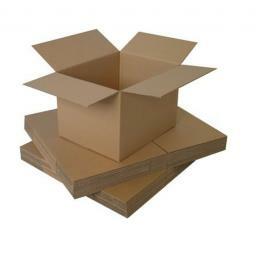 our cardboard boxes are natural brown and designed to protect your products in storage and transit. They’re manufactured to a consistent standard from high quality cardboard to give you superior resistance against bursting and crushing in all temperatures. Our boxes are supplied flat packed for your convenience.